The foreground in this image is dominated by an amazing outcrop of banded Lewisian Gneiss. 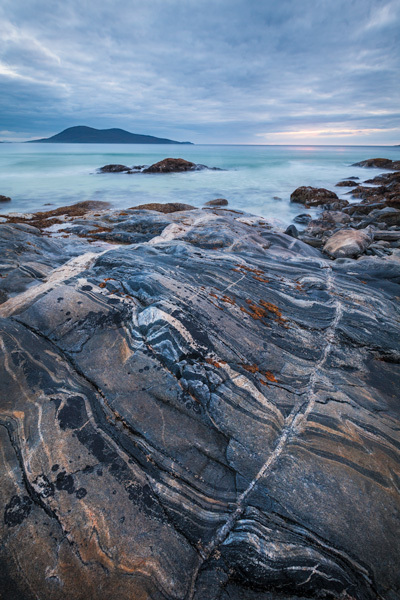 Formed around 3,000 million years ago and sculpted by the effects of temperature and pressure over a period of 1,500 million years, these contorted rock patterns are almost psychodellic. The background "island", Ceapabhal, is actually a peninsula connected by a low lying slither of land. Photo © copyright by Graham Chalmers.